Safeway Coaches currently holds a National licence. "Would like to take this opportunity to thank Safeway coaches for the excellent service I recently recieved, the journey went smoothly and both pick ups and drops of times were very punctual, our driver(Saf) was very professional, looked very professional and he was very friendly ,approacable and accommodating , he made sure everything went well from the time he picked us up all the way through to our final drop off ,the coach was exceptionally clean and comfortable . Would definitely be using your services again . Many thanks. Shehnaz"
"Good Afternoon Thank you for your great feedback and we are glad you enjoyed your experience with Safeway coaches." "Eveything was first class, smooth comfortable journey, vehicle mint condition superbly turned out. Driver brilliant, can not praise him enough. Fantastic day out by all.Safeway the only way for me Thanks once again. Dave"
"Thank you for the positive feedback and we hope to see you soon"
"Our school use Safeway transport on a regular basis for educational visits. We always find the drivers reliable, polite, friendly and helpful. The coaches are always clean and comfortable." "Thankyou for the positive feedback and we hope to see you soon"
"Everything from start to finish was incredibly easy. I made a very last minute booking with Safeway Coaches and they were very quick in confirming my booking and communicated really clearly about the process. The coach driver was very professional and extremely friendly. The coach was immaculate. Cant thank them enough!" "Thank you for your positive feedback and we hope to see you soon again"
"Excellent services as always. Clean comfortable coaches with friendly, helpful drivers." "Thankyou for your feedback for this hire." "The company from start and finish was outstanding, very professional. The journey was fantastic the driver remained highly professional throughout and even went over and beyond duties." 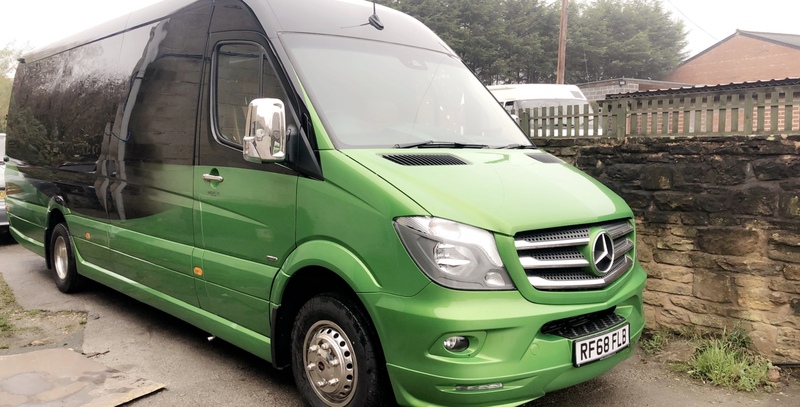 "I hired a 16 seater minibus from Safeway coaches and couldn't have been happier, the whole experience was fantastic, the coach itself was a brand new one so obviously in beautiful condition. The driver was very helpful from pickup to drop off,a professional. The company was very well organised from first contact and won't hesitate to recommend them to anyone." "I have used Safeway for a number of years with about a dozen bookings per year. We have never had a single problem, always on time, courteous, clean and modern fleet of coaches. Superb drivers who are always ready to go the extra mile, no pun intended. Accounts submitted on a timely basis and always accurate. 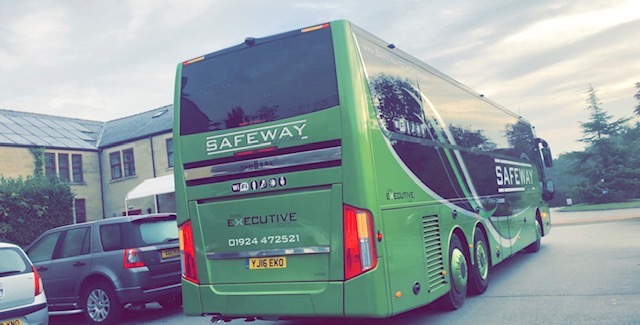 Anyone who wants to hire a coach could do no better than Safeway"
"Had the pleasure of using Safeway coaches on a number of occasions and will again in the future. First class service and would definitely recommend. A number of different seater coaches available. Driver experience has always been 10/10, pleasant and very helpful. Last minute changes on my part have been dealt with positively and without issue where this has been possible, very helpful in these situations. Clean and comfortable coach’s. Travel has always been smooth and without issue." "The journey went well and the driver was a true professional at all times. He did his best to ensure we were comfortable and felt safe throughout the journey. The coach was clean and I would certainly recommend Safeway coaches." "Thank You for the feedback"